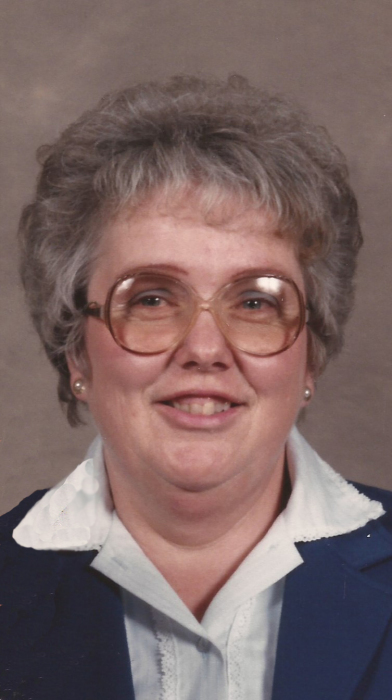 Nona Verlee Dockstader Kerbs, 79, od Rupert, passed away Monday, April 8, 2019 at her home. She was born in Rupert where she resided her entire life. She died in her family home where she has lived for over fifty years, surrounded by her loving family. Nona was a member of the Church of Jesus Christ of Latter-day Saints. She served a Service Mission with her husband Norman. She is survived by her sons, Gregory (Jean) Kerbs of Rigby, Idaho and Terry (Bonnie) Kerbs of Rupert; daughters, Denise (Keith) Barnes of Ogden, Utah and Cheryl Howard of Rupert. She is also survived by 13 grandchildren, 12 great grandchildren and a sister, Nelda Spevak of Rupert. Thank you for the devoted service of her daughter-in-law Bonnie, Son Terry Kerbs daughter Cheryl and her granddaughters. A viewing for family and friends will be held from 6:00 to 8:00 p.m. Thursday, April 11, 2019 and the Hansen Mortuary in Rupert. Funeral services will be held at 2:00 p.m. Friday, April 12, 2019 at the Church of Jesus Christ of Latter-day Saints 3rd Ward Chapel, 526 South F Street in Rupert with a viewing one hour prior to the service. Burial will take place in the Rupert Cemetery following the funeral service. Funeral arrangements are under the direction of Joel Heward Hansen Mortuary.